The original Project S was a breath of fresh air with its drawer-style design, so much so that it picked up our Technical Achievement award. We even went on to make a custom water-cooled build inside it. It came out almost a year ago, however, but Nanoxia hasn’t been resting on its laurels. 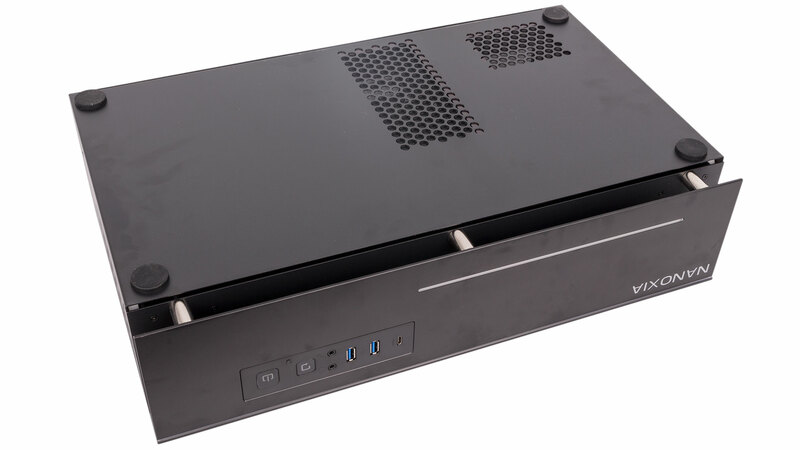 Instead, the German outfit is back with the Project S Mini, which is exactly what you’d expect: a drawer-style chassis dedicated to mini-ITX hardware. It comes in with an MSRP of €149.99, which we’re using to estimate a UK price of about £135 including VAT, as exact UK pricing hasn’t been confirmed. 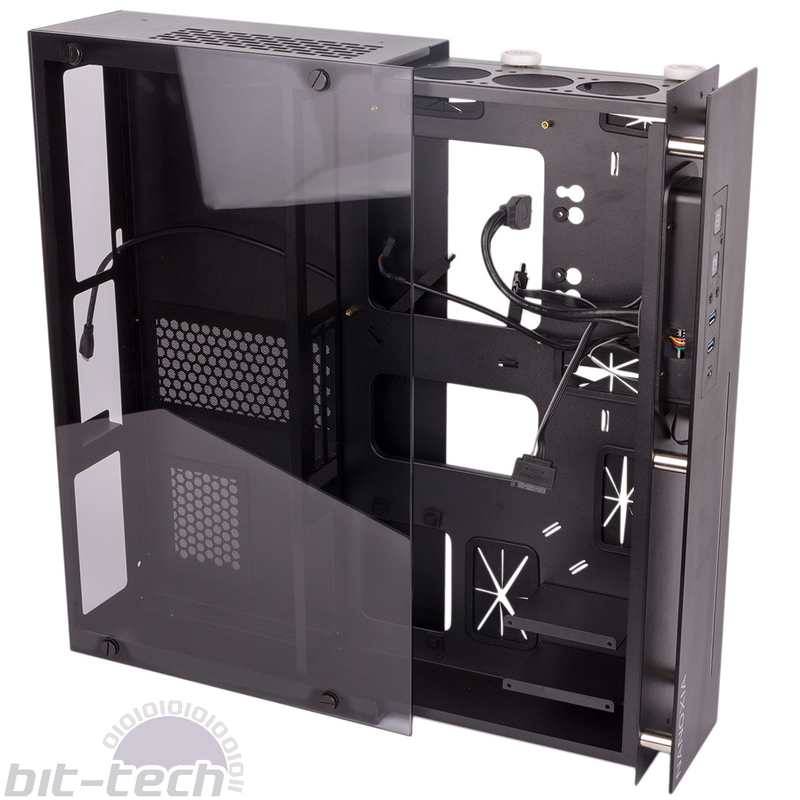 Moving to mini-ITX has made for a change to the internal layout, which is very much HTPC as opposed to the traditional tower layout employed by the original case. However, the external design is very much a shrunk down example of the previous model. 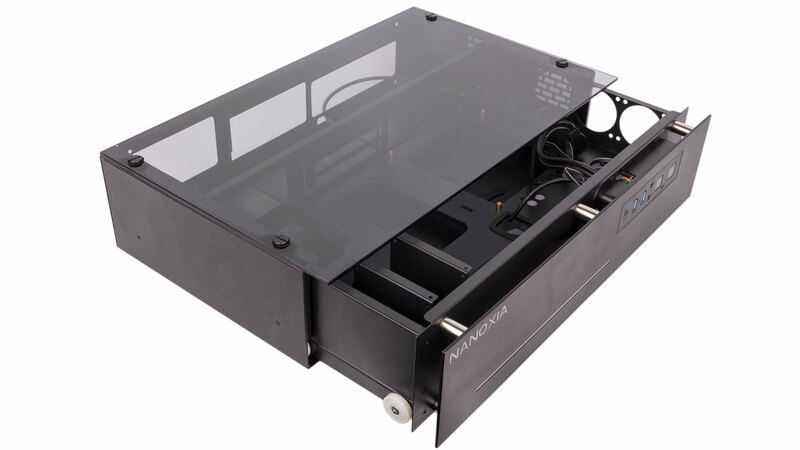 A thick slab of metal makes up the front panel and indeed the front of the steel drawer, which is housed in a chassis that is all steel other than the top panel, which is instead a 5mm thick chunk of tempered glass, giving you a clear view of all the insides. The case can be positioned horizontally, in which case you’ll need to stick on the four supplied rubber feet to give the Project S some clearance, or vertically, which doesn’t necessarily require the feet. 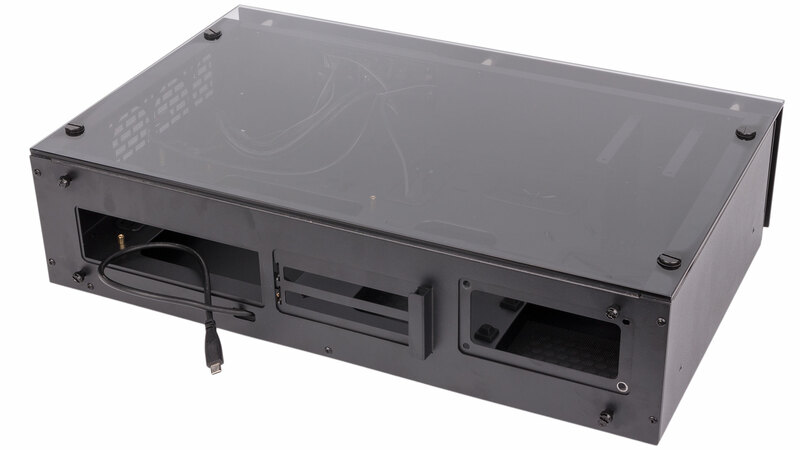 In either position, the drawer remains functional, and it will even slide out when the system is powered on, provided your cables don’t get tangled. 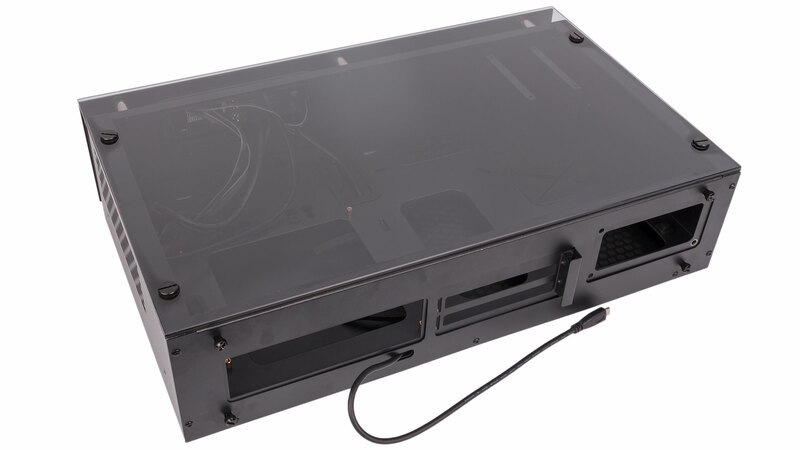 Horizontally, though, you can also stick a monitor directly on top of the case; Nanoxia says the tempered glass is scratch-resistant, so you shouldn’t need to worry about damaging it. 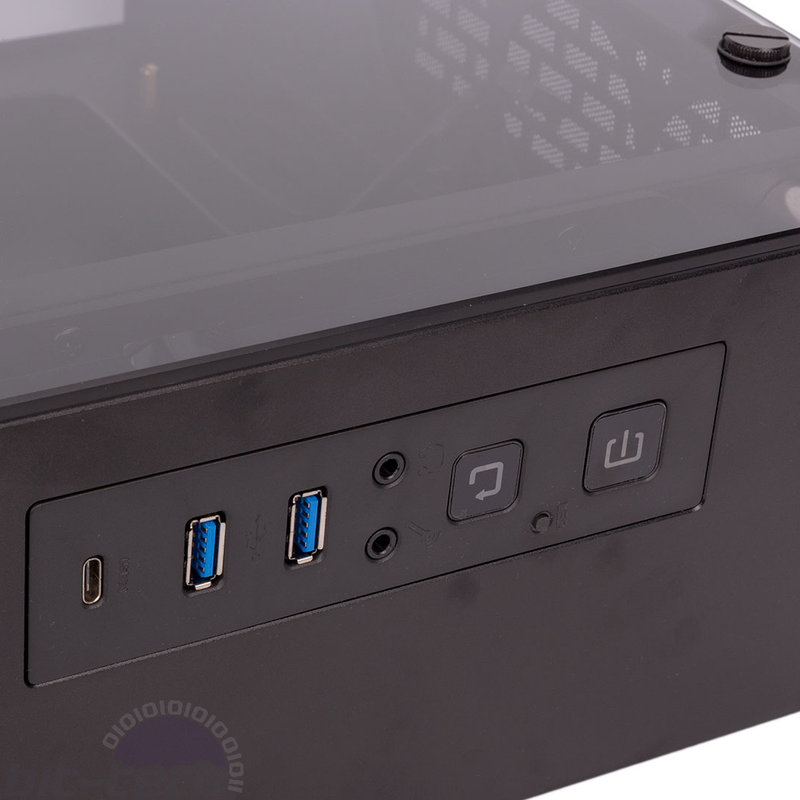 The front panel is modern with its inclusion of a USB 3.1 Type-C connector alongside the usual USB 3.0 ports, although the connecting cable is a simple pass-through cable that will connect directly to the rear I/O of your motherboard rather than to any internal header. However, this makes sense given the current level of connectivity on mini-ITX motherboards. There’s also an LED button that toggles the front panel’s light bar between eight colours (or off), and this is synchronised with the power LED too. That said, there’s no means of expanding the connectivity internally or controlling it via motherboard headers instead. The Project S Mini isn’t particularly well ventilated or set up for high-airflow computing. However, all three areas that are ventilated are also backed by independently removable, magnetic dust filters, though getting to them does involve pulling the drawer out. Two of the vented areas are on the bottom; one is for the PSU intake fan and the other is for those of the GPU, although oddly this bit doesn’t extend the full depth of the case. The third area is for a set of optional intake fans along the right side (looking at it horizontally). Sadly, none are included, and you can only fit 60mm fans in each of the three positions, which will make it tough to find a balance between effective airflow and noise.